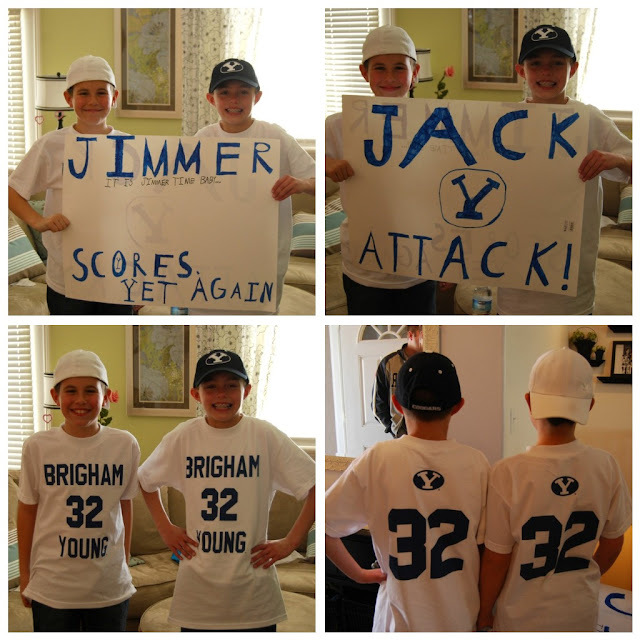 Jack & I listened to the game online, and half our excitement was knowing Jimmy was there to experience it! 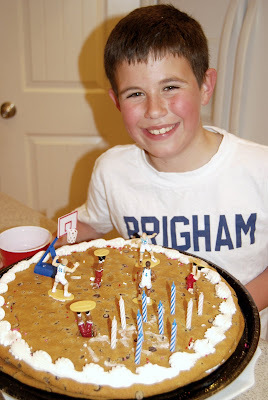 Happy Birthday Jimmer! Oh my goodness, what a cool kid. He is such a cutie. You're lucky that he's the oldest to be such a good example. Boys melt my heart! Jane, he's a darling darling boy. Oh my gosh, those pictures are so dang cute of the boys, will you please email them to me? I have to put them in Dallin's scrapbook. I'm so thankful Dallin has James as a friend. Thanks for having him, Dallin had a blast!